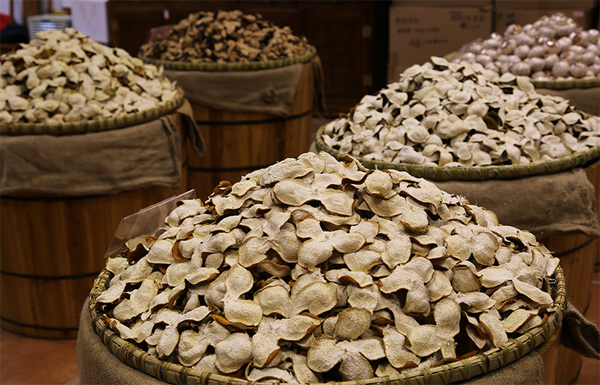 Chenpi (aged orange peel) is the popular traditional Chinese medicine and also Chinese food seasoning. 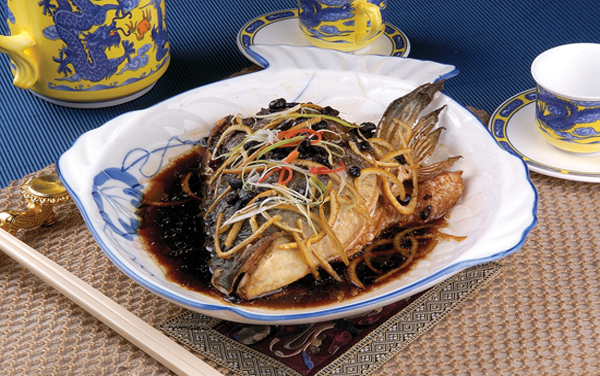 It is produced in Xinhui of Guangdong Provicne, where the processing of Chenpi has lasted thousand of years. 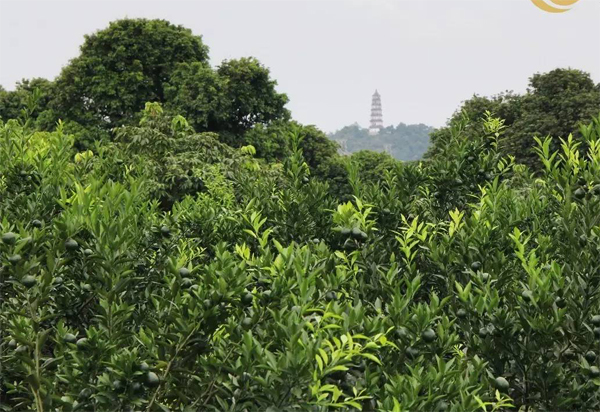 The Chenpi needs adopt one special local orange variety, 茶枝柑 Cha Zhi Gan. 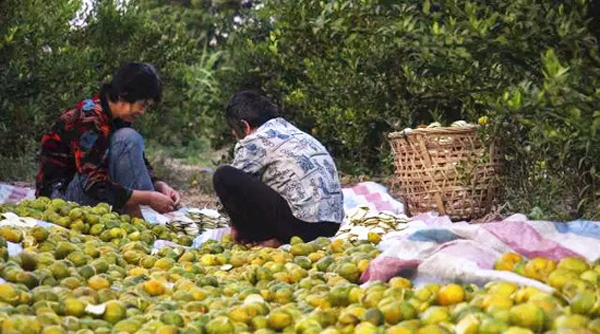 As an orange, the Cha Zhi Gan’s pulp is too sour and almost no sweetness to eat as fruit. 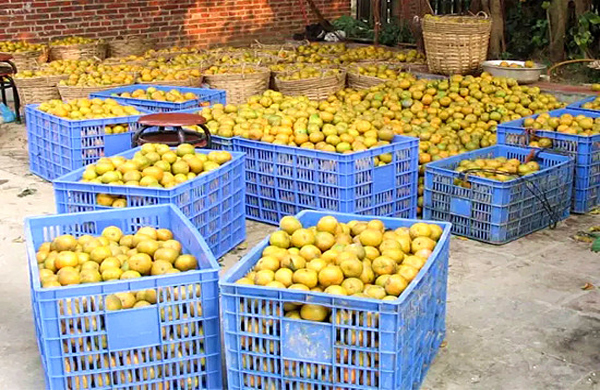 But its peel has strong pleasing citrus fragrance. 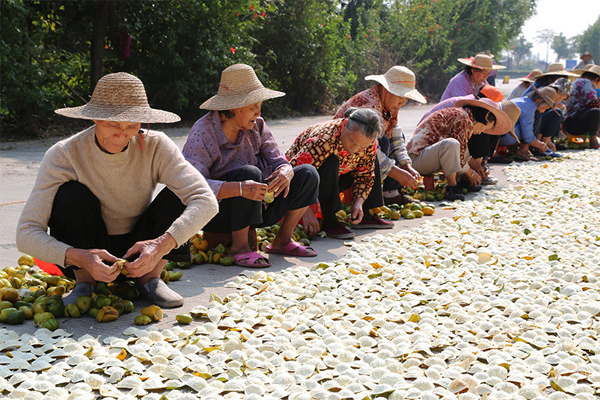 The peel is taken to process the Chenpi. 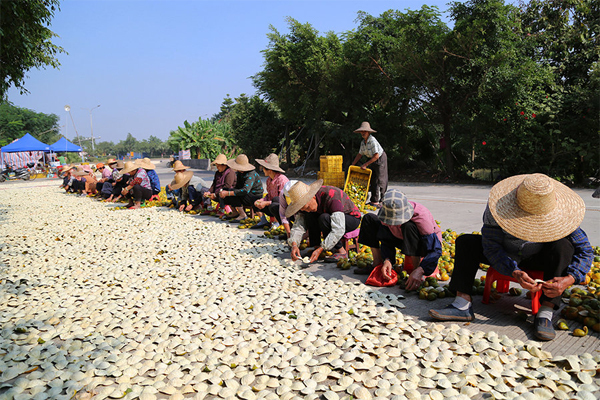 The harvesting of Cha Zhi Gan for Chenpi is in the middle of October. 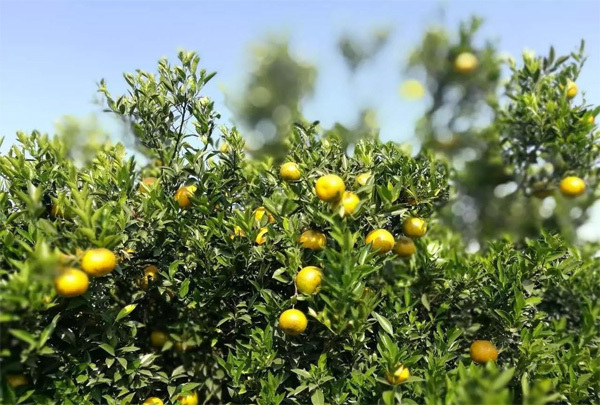 It is generally conducted in the sunny days. 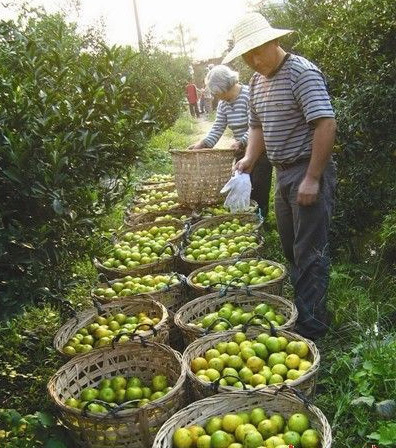 The peel of Cha Zhi Gan is taken out for further processing. 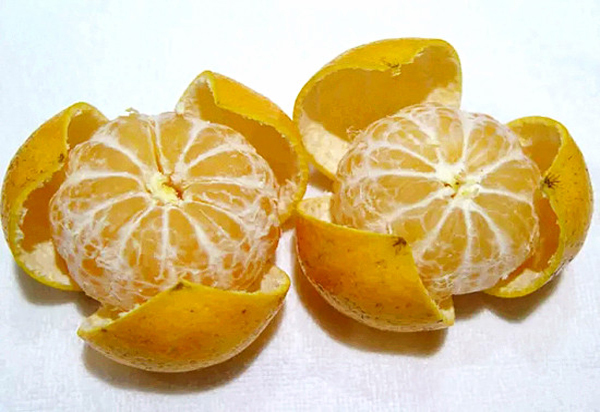 This is the typical three-cut peel. 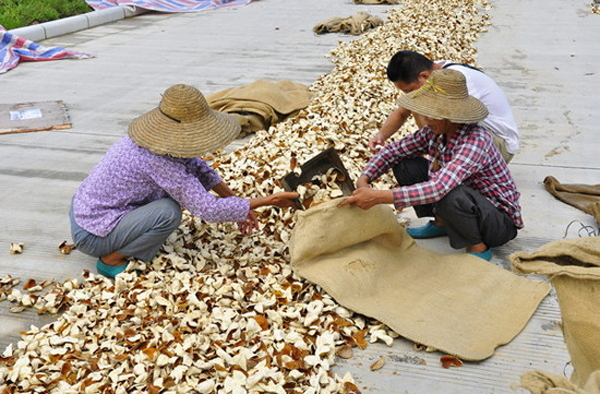 The peel is extended by hand and put under the Sun for drying. 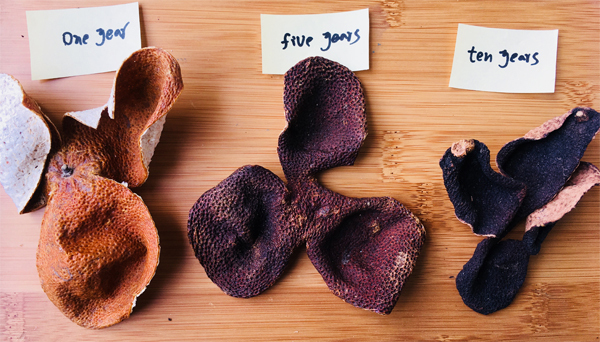 It requires only the back of the peel to be directly exposed to the Sun. 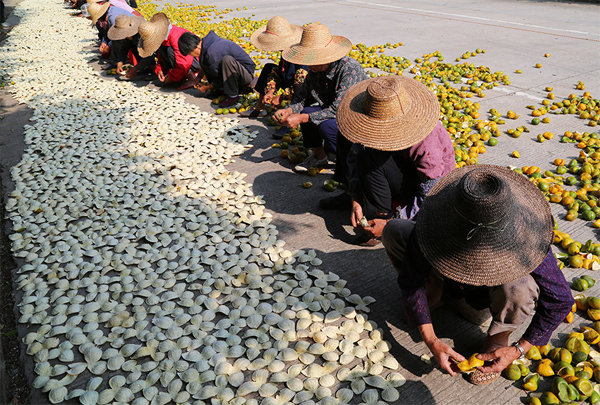 It is a labor-intensive industry. 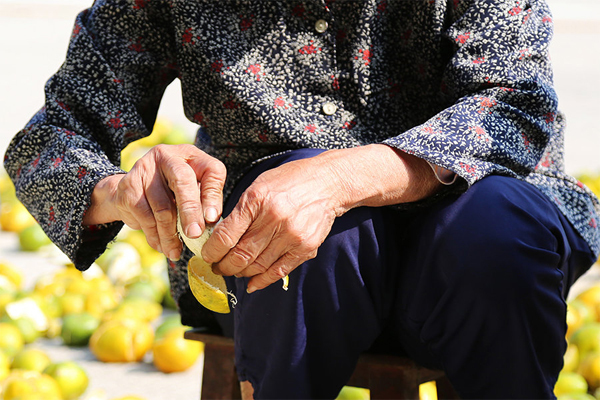 In Guangdong rural area, the main work force for chenpi now is mainly composed by old aunty and uncles. 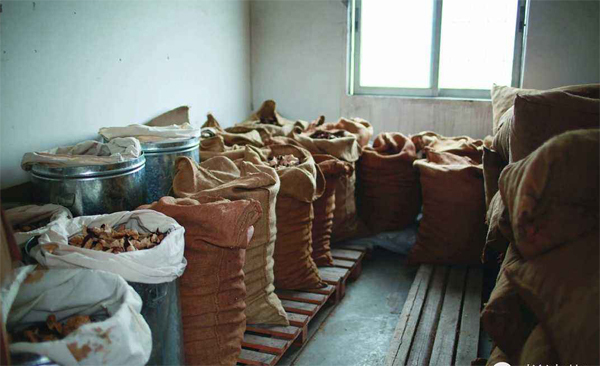 After the peel is dried, it is stored in the warehouse for keeping vintage, which is Chenpi. The good material to pack the peel for keeping is gunny bag. The material of gunny bag is natural linen thread. 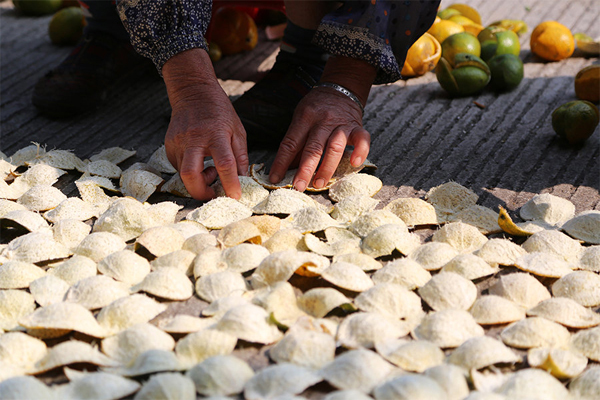 It can ensure the enough air flow and absorb moisture during the keeping. These are the Chenpi of 1 year, 5 years and ten years. Generally the longer keeping, the higher price it will be. 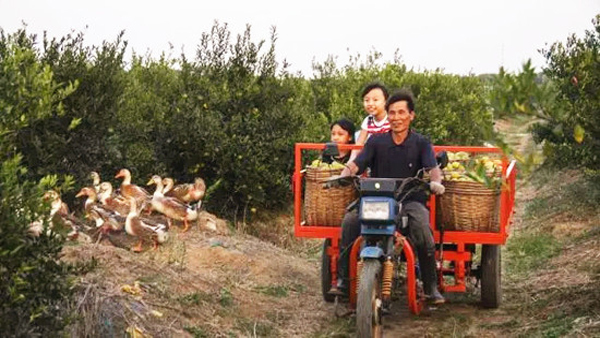 It is good to use the Chenpi after three years. 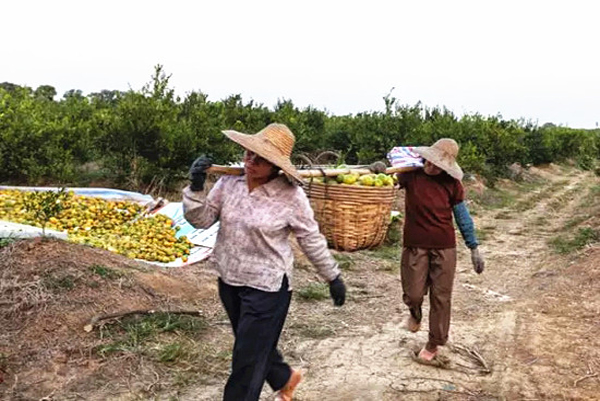 In China, the Chenpi of 20 years, even 50 years are also available. 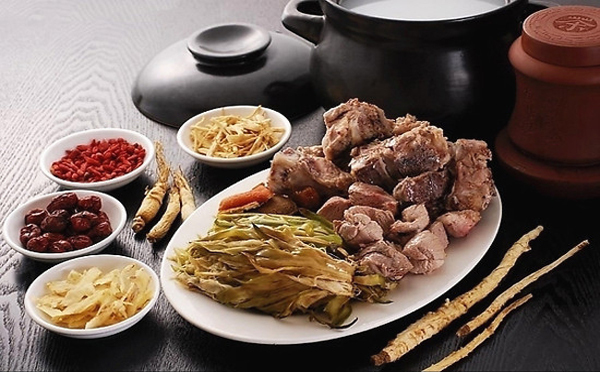 Chenpi is also widely used in Chinese cooking as seasoning. 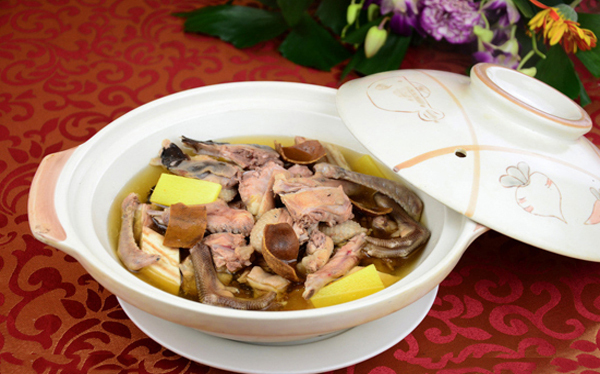 We have wide supply of Chinese Chenpi of many different years!